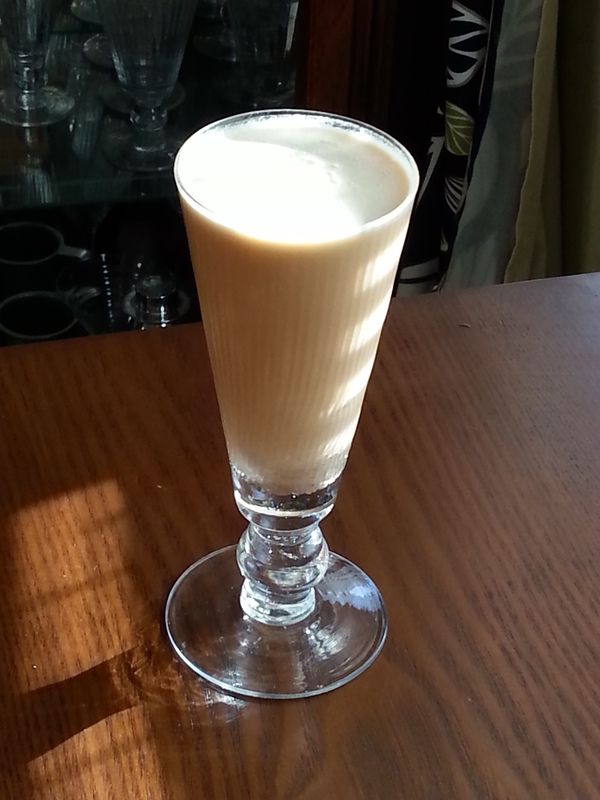 In honor of Saint Patrick’s day, I created this riff on a traditional Irish coffee recipe. It’s well balanced with Irish whiskey, espresso, heavy cream and simple syrup, where one can savor all the ingredients and will go well at all St. Patrick’s celebrations. Place all ingredients in a cocktail shaker with ice, shake vigorously and strain into a cocktail glass. Posted in WhiskeyTagged coffee cocktail, Coffee drink, daddy-o's martinis, Dark Creme de Cacoa, Heavy cream, irish, john apodaca, Johnny's Irish Coffee, simple syrup, St. Patrick's day cocktail, Tullamore D.E.W. Irish WhiskeyBookmark the permalink. Very tasty and not too sweet. A nice cold option to the traditional hot Irish Coffee!